NEW Mon-Sat OPO Route: Replaced Mon-Sat section of withdrawn 180 between Catford and Lower Sydenham and also served new Roads between Lewisham and Hither Green. 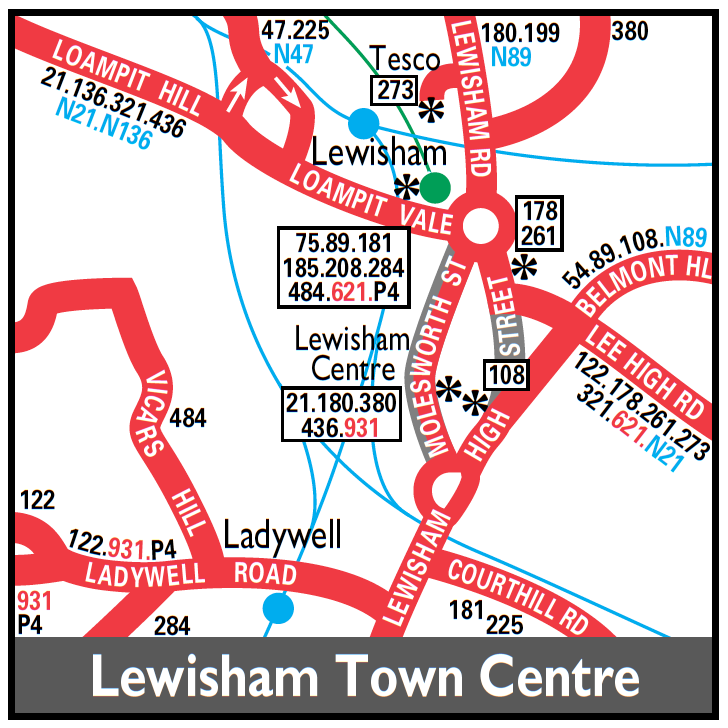 MS extended from Lewisham to Surrey Docks via Trundleys Road replacing withdrawn section of Route P5 - Sunday service introduced between Lewisham and Lower Sydenham - thus Route 180 withdrawn between Catford Garage and Lower Sydenham on this day. LS425 Bell Green stand ? MS (except evgs) extended from Surrey Docks to Rotherhithe via Route 70. and rerouted at Catford via Route 75 to Lower Sydenham replacing withdrawn section of Route 108B and then onto Catford Garage via Southend Lane thus withdrawn between Rushey Green and Catford Garage direct via Bromley Road. Converted to midibus and withdrawn between Lewisham and Rotherhithe. The withdrawn section replaced by new midibus route 225. Sunday service now joint with Route 108B instead of Route 160. Operation transferred to Kentish Bus under tendering process operated by new Lewisham depot. Gradual conversion to low floor operation commenced.